The saintly bishop, Founder, and Doctor of the Church, St. Francis de Sales, is known throughout the Catholic world for his great gentleness and understanding of the human soul. During his lifetime, he converted and guided innumerable souls and reconverted thousands from Calvinism back to the Catholic Faith. Here St. Francis de Sales shows how prayer is the key to all holiness. In simple words and colorful imagery he explains the profoundest secrets of sanctity. He often quotes the words of Sacred Scripture, pointing out their hidden meaning as applied to the value and practice of prayer. 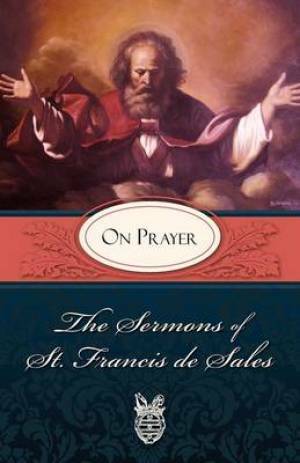 Sermons of St. Francis de Sales on Prayer: On Prayer by Francis de Sales was published by TAN Books in January 1985 and is our 55014th best seller. The ISBN for Sermons of St. Francis de Sales on Prayer: On Prayer is 9780895552587. Be the first to review Sermons of St. Francis de Sales on Prayer: On Prayer! Got a question? No problem! Just click here to ask us about Sermons of St. Francis de Sales on Prayer: On Prayer.